A time travelled reward strategy; Who? A more equal, transparent approach with some convergence between the levels. This article will be looking at the outcomes of these two scenarios and the different pressures that may lead to one or the other becoming the new reward reality. A troika of forces support the status quo. A lack of political will to make changes; perhaps connected to first point. As the economy improves the supply and demand equation will reassert itself. There is a large amount of vested interest in the status quo. This is not only from the direct beneficiaries of high pay; but also from those who benefit indirectly. The barrier between board rooms and politicians together with senior public servants has always been porous. Politicians and public servants often move in to corporate board rooms following retirement from “public service”. It may be argued that waiting for those who currently hold the levers of power to reduce their future earnings potential in the private sector is like turkeys voting for Christmas; unlikely to happen. Although outside the parameters of this article there is some interesting research to be undertaken on the issues of power and ideology as they relate to the economics of reward. Even when the global economy is in recession it is difficult to attract the right calibre of staff in to executive management positions. Or, if we look at the highest paying sector (putting aside football players and those in the entertainment industry), in to investment banking. Getting the right people in role can make a great difference to organisational and financial success. When Stephen Hester was unexpectedly removed as CEO of RBS, its share price fell by about 7%. At the top levels it is a seller’s market, with, arguably, an increasing international dimension. There is anecdotal evidence that top mangers’ prefer moving in to private equity where rewards are higher but less transparent. Likewise the increasing, and in my view, mistaken, prescriptive approach by the USA, EU and regulators on financial services pay, has the potential to lead to a flight of talent to less regulated shores; much the same as we have seen in the past with corporate tax planning. This means a race to the top for the best talent with organisations worried about falling behind their competitors; the stairway is to heaven for the high paid. There are considerable forces of inertia to be overcome before we can travel to a more progressive pay landscape. So inequality between those at the top of the pay scale and those on the average wage would get progressively worse. A “Hunger Games” scenario with a large population of lower paid supporting a small population of very high paid. substantial increases that occurred during the 1980s”. Thus, income inequality is a moveable feast with volatility making it difficult to confirm a consistent trend given the constant transformations of the tax and social security structures. I had a very interesting conversation with Cliff Weight, another internationally recognised reward expert, from MM&K. This was on the subject of the balance of power between shareholders and executive management. It is my view that in the past shareholders were more relaxed about the quantum of pay. This is because they were making a good return on their equity. That situation has now changed. Return on equity has, in many sectors, reduced considerably. At the same time the percentage being spent on executive remuneration has risen. 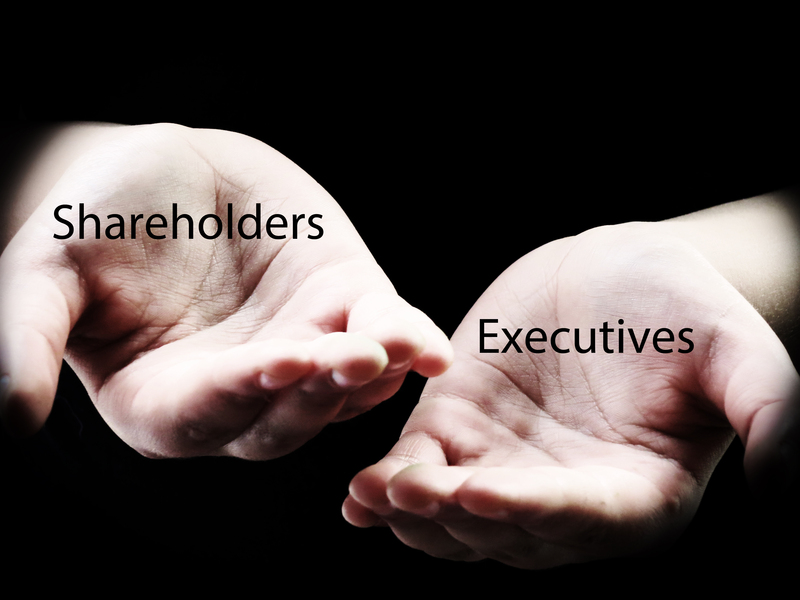 Shareholders are now taking a much more detailed interest in the balance between what they earn and what the “talent” gets paid as a percentage of revenue. It is also worth mentioning the role, particularly in the US but increasingly in other countries, of the activities of shareholder advocacy groups such as Institutional Shareholder Services (ISS). I am not a fan of their somewhat tick box approach; but I fully appreciate that they do an important job in highlighting what may be seen by some, as poor pay practice. Institutional shareholders are increasingly (although perhaps wrongly) relying on the advice given by these organisations. The pressure on pay is always downwards. A similar downward pressure is beginning to be exerted by the regulators; albeit often accompanied by prescriptive, counterintuitive and sometimes downright stupid regulations. There is a good summary of the latest UK regime on remuneration reporting here. A downward pressure on remuneration by regulators is a clear and present danger to the maintenance of the status quo. Linked to this are the regulatory requirements, initially in financial services, but likely to move to other industries, to hold sufficient risk based capital to support operations in the event of black swans, unlikely but catastrophic events. This reduces the risk capital that can be invested in higher risk; higher return activities, so, picking up the issue in the paragraph above, reducing the potential returns to shareholders. 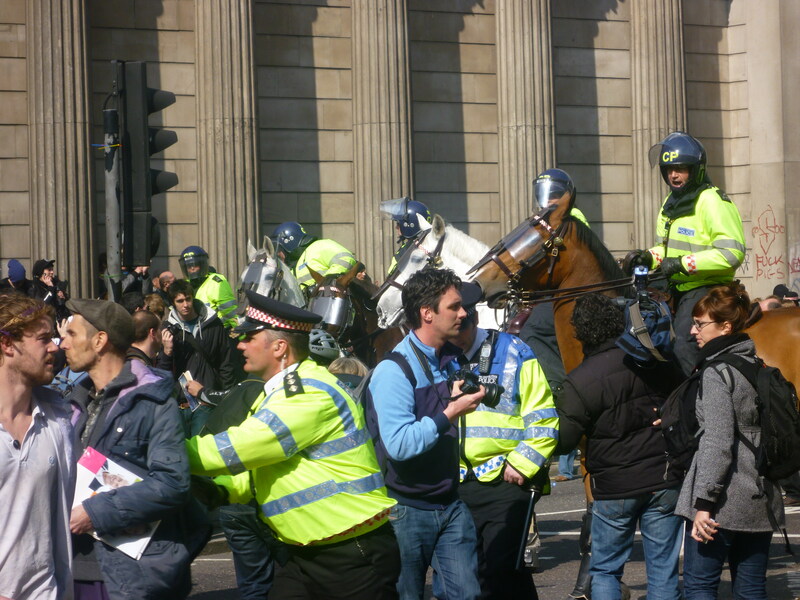 There are two opposing economic pressures affecting this debate. Shareholder returns are dropping, as discussed above. 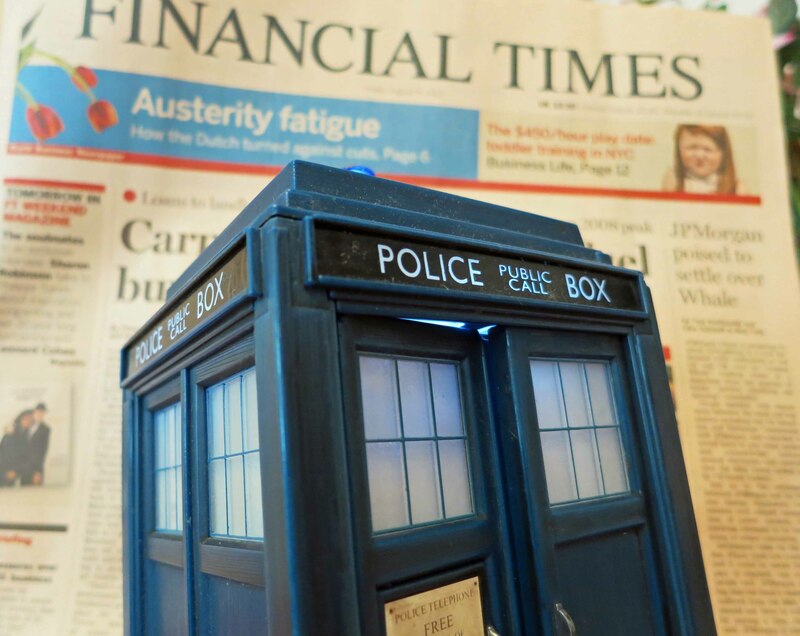 There are structural changes taking place that indicate that we may never see a return to the fifteen per cent plus returns before the financial crisis. If that is the case there is going to be considerable downward pressure on remuneration in order to ensure a more “equitable” division of return between capital providers and employees. The counter argument is that if there is a return to high inflation (and that has a high possibility in my view) and good economic growth, there is the likelihood of higher relative returns, while the scramble for labour intensifies and earnings at the top of the ladder explode. Currently the balance appears to be in favour of the economic constraints on equity return leading to downward pressure. But, as previous booms and busts have shown little is impossible, even if very improbable. This is the most interesting of the downward pressures on pay. I discussed this issue extensively with Cliff and Jon. There is a clear consensus between the three of us that there are strong undercurrents of social pressure to increase transparency and have a more equitable distribution of pay. These pressures are coming from all levels and in some cases some unexpected directions. We are currently seeing the senior executives of some large organisations preaching pay restraint and greater responsibility. Although, as the recent CIPD report on “Rebuilding trust in the City” (of London) shows there is a long way to go and some leaders still work on the basis of do not do what I do, do as I say. But, this apparent change by the changing leadership of some large organisations is an interesting trend. It can also be argued that those currently coming in to the system or beginning the climb up the greasy pole of corporate life have a different approach to reward, work and life balance. Perhaps there is something less of a drive for personal gain and more a realisation of the importance of social contribution; we can but hope. I am unsure that issues of high pay have yet entered the popular consciousness; a bit like the zombies in “World War Z”; we know they are bad but we are not going to come across one in real life. Very few people have even indirect experience of high pay either in an absolute or relative sense. Thus, while there is a broad sense of moral outrage driven by an often misinformed media; there is a limited popular demand for restraint on high pay and even less of an understanding of labour market economics or the complex nature of senior reward. Having said that, social pressures are leading to what Jon Terry described as a “noticeable shift” in attitude by those both at the top of the tree and those who are working their way up the branches. It is not yet revolution but is most certainly evolution. What is clear is that social pressure is building up a head of steam and will have, perhaps, a defining effect on the reward landscape a decade hence. My travel in to the future of reward is complete. The evidence supports the scenario that in ten years’ time we will have a more transparent, more equal, reward landscape. It is also likely to be an extremely regulated environment, particularly for high pay. The issue is that state intervention starts to look like pay policy and pay policy, as history has shown, seldom works and discourages an open market in reward with frequent unintended consequences. Executive Directors, consultants, remuneration committees, regulators and last but not least, reward professionals must start to prepare themselves for the changes that are beginning to appear on the horizon of the reward landscape. It must be acknowledged that the future seldom turns out the way we expect; but there are sufficient broad trends emerging to at least give a probability of a more equal approach on pay. In some ways this becomes a self-fulfilling prophecy. If we start to think and prepare for a more transparent and equal pay environment it is more likely to happen. I would like to thank two globally recognised reward experts, Jon Terry of PwC and Cliff Weight of MM&K for sharing their insights on the subject with me. However, all the views expressed in this article are mine alone. My new reward podcast give a wide view over the reward landscape as well as a fascinating conversation with innovation guru and author Peter Cook. If you would like a guest blog post or to guest blog post on this influential reward blog please get in touch. There is considerable controversy over levels of executive pay. There are a multitude of stakeholders or would be stakeholders pugnaciously striving for influence. Remuneration committees are supposed to control executive remuneration. 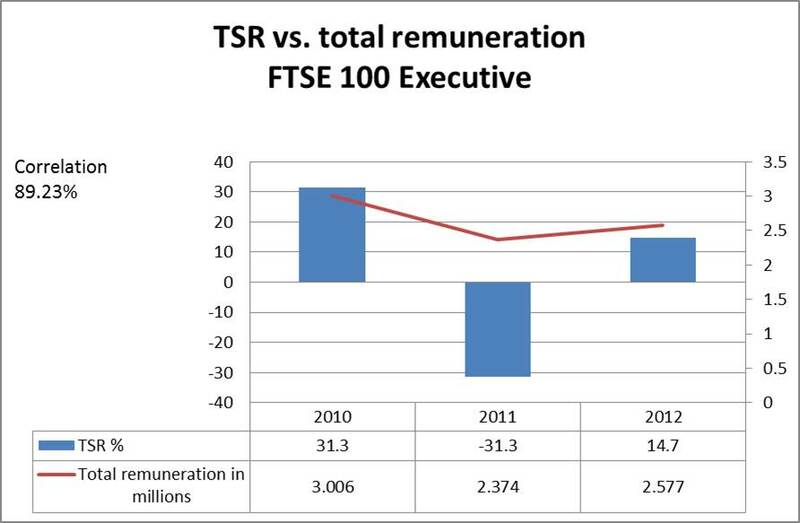 However, as the MM&K recent survey shows, FTSE CEO Remuneration increased, on average, by 10% in 2012. Why are shareholders allowing this to happen? I had a fascinating discussion with the executive pay guru Cliff Weight on the subject of the balance of power argument (although the discussion below is entirely mine) when looking at executive pay. A lack of good succession planning by the Board so there is no immediate, obvious internal or external replacement. A shortage of good candidates with the relevant experience and willingness to take high profile roles. This tends to mean organisations can be without a CEO or Finance Director for six to nine months; which leads to a fall in share price. No Board or Remuneration Committee wants to be seen to be acting in a way that damages shareholder returns. A good example of how NOT to carry out changes in senior management is shown by the apparent decision of the UK Treasury to replace Stephen Hester, the CEO of RBS. The announcement seemed to take the markets by surprise – leading at one point to a 7% drop in RBS share price. Further, the lack of any successor or allegedly any succession planning by HM Treasury means there is something of a leadership vacuum in RBS (even with their excellent senior management team) that causes great uncertainty to both investors and employees. This, just at the point when RBS had turned around and had a clear and compelling vision of its mission and future. These tend to be seminal points in an organisation’s existence that hopefully do not occur too often. Both parties to pay discussions need to think about the balance of power issues and how they influence the reward dynamic. Strategy needs to be owned and driven by the entire executive team; hopefully mitigating the effect of the departure of any executive. Good management of shareholder relations and open communication will help reduce any share price “shocks” when changes do take place. 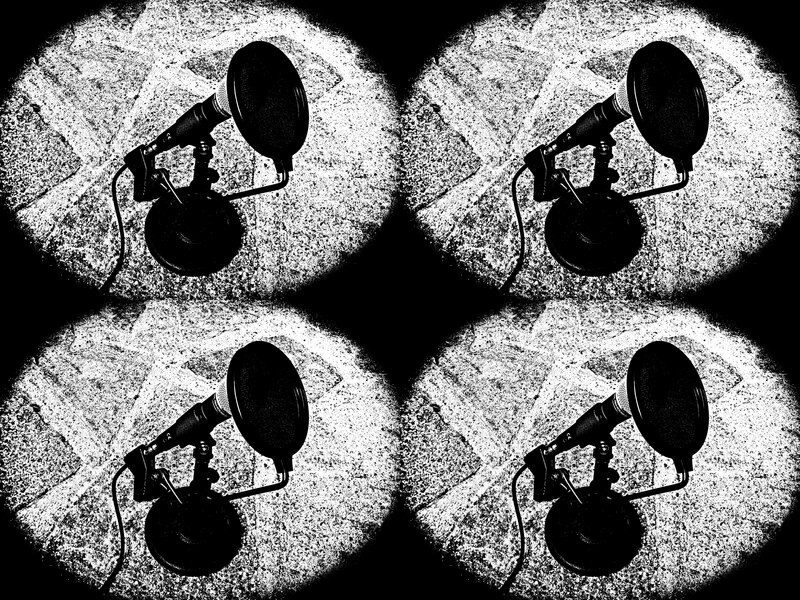 Good financial PR will again mitigate both the shock and share price impact. One of the potential failings of Boards when considering the balance of power argument is succession planning. In an ideal world a replacement for the CEO would have been identified and prepared for the new role well in advance of the change. Unfortunately there is a paradox here. A CEO could perceive that work by the Board to identify her successor was a signal of their imminent departure. As invariably such issues leak, so the market would view it in much the same way. Dammed if you do and dammed if you don’t. There is also the issue that the heir apparent may become impatient with the wait and either go elsewhere or worse actively seek to undermine the existing CEO with the Board. There is no easy or obvious answer to the succession paradox; but clearly it is an issue that must be taken on board in the balance of power debates. The balance of power approach is a useful framework to view trends in executive pay. I can see no immediate answer to how or even if, the balance of power should be more equally distributed. Like any good explanatory framework, the balance of power debate asks more questions than it answers. The drivers of reward continue to be to attract talent and reward productive behavior. I would argue that retention is less important that it used to be due to the lose labour market. The survey also looks at employee benefits; these can both support the social culture of a business and provide valuable, cost effective non cash engagement tools. This information can drive our reward strategy. By presenting appropriate strong analytics through data visualisation on the basis of appropriate segmentation gives a very powerful tool kit for us to work with and make recommendations to line management. Any good analytical work and modelling starts with asking the right questions. There is no point providing large amounts of statistical data and analysis without have a clear view of the questions we are using the data to answer. This is a big issue with big data. We have the data; but what do we use it to prove or disprove? Reward interventions must “do” something; be it reduce turnover, encourage managers to align with the interests of shareholders, or produce specific results. Reward professionals must be able to show the outcomes of their products and programs. For example, we must be able to show the relationship between our variable pay spend and the revenue generation, the return on capital employer (RoCE) and other key financial indicators. The “Say on Pay” requirements in the US and the regulations in the UK require the production of charts showing, for example, growth in relative total shareholder return against executive compensation. We must extent this type of analysis through the organisation to show the stakeholders in the business; be they employees, executives, shareholders and regulators, that our reward program is progressive, does not reward failure and, as far as is possible, is “fair”. I have argued in other blog posts that we are seeing the erosion of privacy around pay. Within five years we will be reporting, as a minimum, on employees by bands of pay and more likely very detailed pay statistics on every employee in our organisation in the interests of “fairness” and transparency. There is little excuse for not providing strong analytics with appropriate data visualisation. Microsoft Excel provides some very good analytical and graphing tools and using the PowerPivot addin allows for the analysis of very large data sets and even the development of simple data cubes. That is before we get in to many of the off-the-shelf compensation management tools and packages. 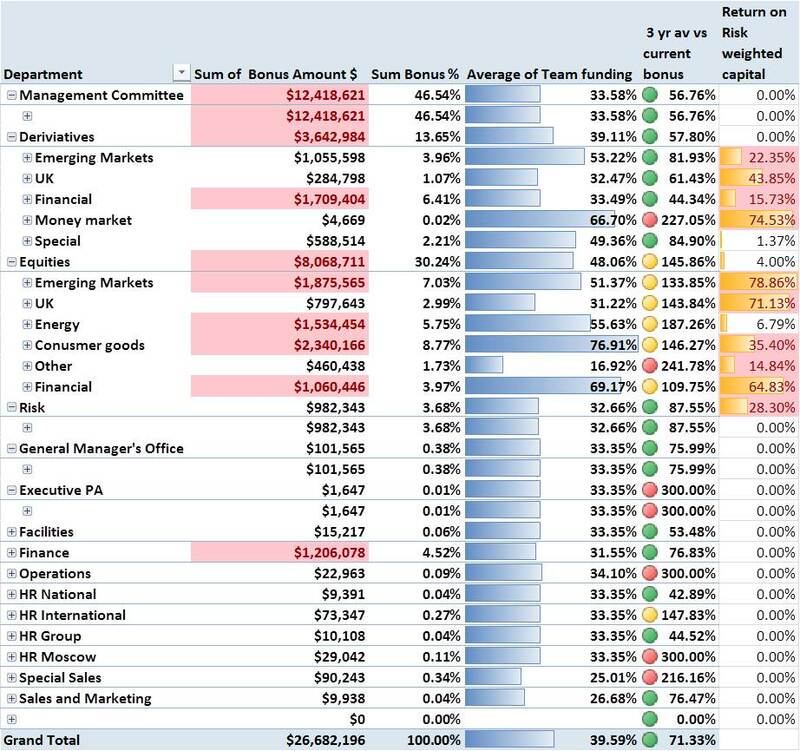 The use of Microsoft Excel’s conditional formatting provides some intuitive “at a glance” analysis of bonus levels by department. I thought about the type of questions the CEO might want to ask about the data and provided the answers in graphical and colour formats. 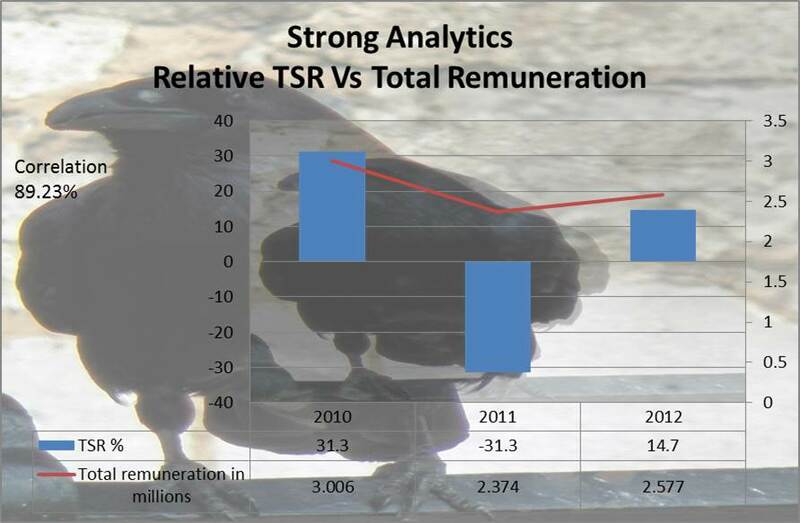 This second example shows a very simple graph of correlation between TSR and total remuneration for a FTSE 100 Executive. It immediately shows the linkage between pay and performance; although TSR needs to be measured over a much longer time period, or alternatively normalised to remove the effects of the economic cycle, to provide a better analytic. As the CIPD survey noted, reward is, as always, becoming more complicated. At the same time we are seeing far more scrutiny of pay by the largely uninformed politicians, regulators, shareholder advocacy groups and the media. We must arm ourselves for this intrusion by preparing our toolkit of strong analytics to defend our positions and explain our philosophy. 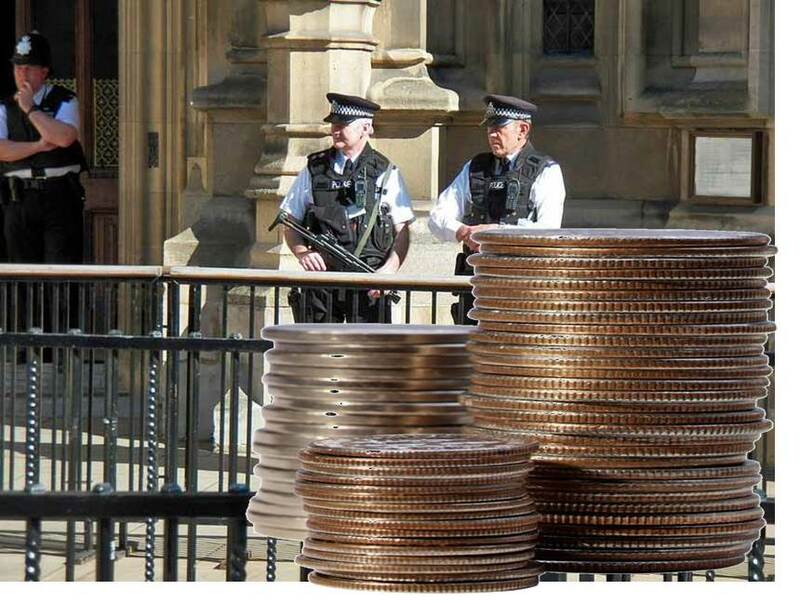 More pay regulation – Doh! I am spending a lot of time at the moment reviewing the various global approaches on remuneration regulation. It suddenly struck me, in a Homer Simpson moment, to ask a basic question. Does more remuneration regulation lead to better reward outcomes? It turns out not. In fact, regulation is a poor solution to a low level problem that will throw up more issues than it resolves. The real reasons behind the regulatory assault appears to be more to do with political expediency and an easy target rather than resolving issues of market failure. Few would argue that shareholders and remuneration committees are closer to the issues of executive remuneration than regulators and shareholder advocacy groups taking a generic tick box approach could ever be. The regulations not only fail to discourage the behaviour that they believe, incorrectly, led to the financial crisis but they are storing up problems for organisations over the next few years just when the focus should be on economic and organisational recovery. Does regulation solve the problem? Professor Ian Tonks of Bath University argues persuasively that statistically, pay performance sensitivity in banks is actually no higher than other sectors and overall is quite low. The relatively small performance-related element of executive pay means that there is little evidence that executive compensation in the banking sector is dependent on short term financial performance. He notes that as Conhon et at (2010) shows that the role of compensation in promoting excessive risk taking prior to the crisis was dwarfed by the roles of lose monetary policy, social housing policies and financial innovation – which of course falls largely under the very politicians and regulators that now endeavour to regulate on pay. As Weight (2012) notes the key determinate of levels of executive pay is organisational size. So the evidence points to the fact that executive pay in banking had very little to do with market failure and thus regulating it will have a very limited, if any, impact on the probability of further market issues – as if the current LIBOR issues did not prove that fact with greater eloquence that this commentator could hope to achieve. So does the regulation of pay work? The answer is not really. 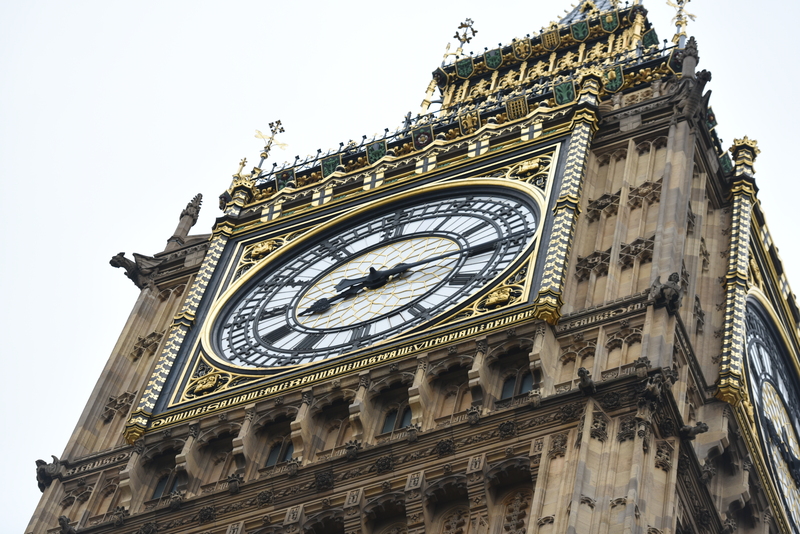 The CIPD submission to the UK Government’s banking inquiry showed that the issue is mostly around culture; a view greatly supported by the actions of the new CEO of Barclays who is attempting a massive transformation of the Bank’s culture in response to its multiple failings. Reward is but one small part of a much bigger issue. But the FSA in the UK, the FCIC in the US and the EU capital requirements directive all link remuneration structures to market failure; with surprisingly little robust evidence to support this assumption. In general the approach is to defer large parts of the bonus payment in to the future and also that a large part of the deferred portion must be paid in equity or similar instruments. The deferred part of the bonus is subject to malus and claw back. What is worse is the EU proposal that bonuses be no more than one times base salary. The most interesting and critical part of this analysis is what will the results of these limitations? First of all the approach to limit bonus payments to one times salary. At its most simple level it is going to mean large hikes in base salary. We have already seen this occurring in response to regulators demands for a greater balance between fixed and variable remuneration. For employers increasing fixed salary has a very large down side. It massively increases fixed costs at the same time as the same regulators are demanding greater capital holdings – doh! The benefit of having a flexible bonus system is that you can pay out when times are good and not pay when cash is tight. In addition salary payments are not performance driven or risk adjusted; so you are undermining the very strategy on which the assumption of market failure is based. This leads on to a second issue for employers that are closely linked to the first point. If you defer large parts of the bonus over multiple years you are forcing employers to pay cash out when they may have much better uses for this resource – including building capital reserves or returning cash to shareholders. Thus the regulations on pay are hampering the very important role of management in managing the cash resources of their business. Oh, of course shareholder advocacy groups say do not dilute share capital – the regulators say pay bonuses in equity instruments – doh! The regulators seem to be ignoring two very important financial concepts when introducing regulations on pay; as are shareholder advocacy groups such as ISS when making similar demands on executive pay. These are the time value of money and the fact that the risker the financial vehicle the more return it has to generate. (Although this is a double edged sword as we will see later). A cash bonus of £500 today is worth more than £500 paid next year or the year after. To give the equivalent in today’s money of £500 in two years’ time would mean paying out perhaps £535 – and that is using quite a modest discount rate. You then say to your employee I promise to pay you £535 in two years’ time; BUT if we do not perform well, or if someone in the organisation misbehaves and we lose money we reserve the right to reduce or not to pay the bonus. An intelligent employee will look at her organisation and what is happening in other organisations and say “well, I think there is a 10% chance each year over the next three years that I will lose my bonus”. So the deferred bonus is not worth £500 to me in three years’ time; it is worth £432. So the employee can either accept a lower value, uncertain payment in the future or look to her employer to increase the bonus to make up the lower future value. Not an ideal employee engagement scenario. Regulators and shareholder advocacy groups are insisting that a large percentage of deferred bonuses are paid in equity or similar instruments such as cocos. (Broadly, conditional bonds). For the employee this is a double edged sword. On one side, equity levels can produce very good results. For example, Goldman Sachs share price has had an annual increase of around 23% over the last three years. So if your bonus was deferred in to stock it would have doubled over three and a half years with little or no effort by you. For the regulators and the politicians this means that stock based bonus pay-outs have the possibility of being very much higher than originally forecast. Not exactly the policy outcome that was hoped for. The other side of the sword for employees is the uncertainty factor. Goldman Sachs shares may have increased; but many organisations share prices will not have risen; or given share price volatility have a high probability of being at a lower level at the very point of vesting. Uncertainty, as noted above, reduces value. In the eyes of a rational employee a bonus deferred in to stock over say three years must be discounted to a much lower level that the actual value awarded. (Although the concept of “actual value” here is quite nebulous). Some traders that I know have discounted future equity based deferred bonuses to close to zero due to the risk (and perhaps their own financial time horizons). Thus the deferred bonus in to equity ceases to be a retention tool unless you have to be one of the lucky Goldman Sachs employees – but then you do not know if you are going to be in a job in three years….doh! The other arguable point about deferring bonuses in to equity is that it actually increases risky behaviour. Why? A deferred bonus in equity cannot drop in value below zero for the employee so there is a limited downside. However, if taking a business risk increases the probability of equity upside then there is no rational reason for an employee or a director for that matter, not to take that risk. So, instead of regulators and politicians providing policy that reduces financial risk the current approach appears to increase the risk, reduce flexibility and increase fixed costs; not an ideal policy outcome with no clear winners and the potential for everyone to lose – doh! The evidence points to the efforts by regulators to provide prescriptive regulation on pay and bonuses; particularly in the banking sector, to be deeply flawed. They are trying to solve a problem which played only a small part in the near global market failure. They would be better to focus on the more important issues of lose monetary policy, culture and poor financial regulation of complex financial instruments. The pay regulations are counterproductive and have a high probability of not delivering the desired policy outcomes but making the situation worse and more risky than it was before – doh! I believe the time is right for evidence based, principled regulation around high pay. Not for any reasons to do with market failure but because we must at least start to take heed of the arguments around social justice while appreciating that in a demand driven market economy the concept of “fair pay” is, like Plato’s table, something of an unobtainable but delightful concept.